No one ever expects to be in a car accident, but they happen to all types of people, every single day. They can happen on your way home from work or taking your kids to school. This often occurs to no fault of your own and in a flash of a second. Anyone who has been in a car accident knows that, in the moment, adrenaline can take over and when we panic and don’t know what to do in the heat of the moment. We want you to be prepared. That’s why we have put together a list of things you need to do if you are in an motor vehicle accident. It’s important to call law enforcement as soon as an accident takes place. This is not only for your safety, but the safety of other drivers on the road. The sooner an officer arrives on scene, the sooner the clean up can start and the road will be cleared. Even more importantly, having an officer on scene will help you prove who is liable for the wreck, which will come in handy if there are any disputed insurance claims. In the case of injury, Law Enforcement can also call in emergency services to provide immediate treatment. When a car accident takes place it is important to start treatment as soon as possible. Just as you would with any other injury, don’t put it off. As mentioned before, we can often lose our focus in the heat of the moment. That’s why it would be a good idea to have a close friend or relative to come to scene of the accident to help you remember the next few steps. If you are in a accident with a lot of damage, the costs are going to amount fast. If you are not at fault, you want to make sure that you hold the responsible party liable and be able to recover any costs in property damage or any treatment you have to get due to the accident. Taking pictures of the accident will help in both of these areas. If you are in an accident that is not your fault, you want to make sure someone who saw the accident firsthand can corroborate your story. A firsthand witness can really help you out down the road if a claim is disputed and an insurance company does not want to pay for your medical bills or property damage. The truth is, if you are involved in a car accident at any significant speed, the likelihood of an injury is high. You need to start treatment as soon as possible for these injuries because if there is a gap in treatment, the liability insurance will try to deny paying your bills. It is our hope that you will never need our services, but we know that serious injuries can happen to good people and they will need someone to fight for them. If you are ever in an accident where you, or someone traveling with you, were injured, do not hesitate to contact our offices. 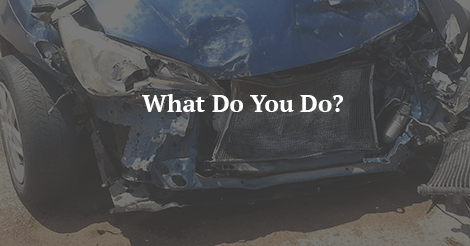 We can provide answers to your questions and fight to recover the costs you incurred because of the accident. New Team Member20 Year Celebration!